Summer is coming. Lovely course but with babies, we must always be very careful. Their little bodies are very sensitive to fluctuations. Your stroller in the sun set is never wise but cover it with a blanket can make it very dangerous. 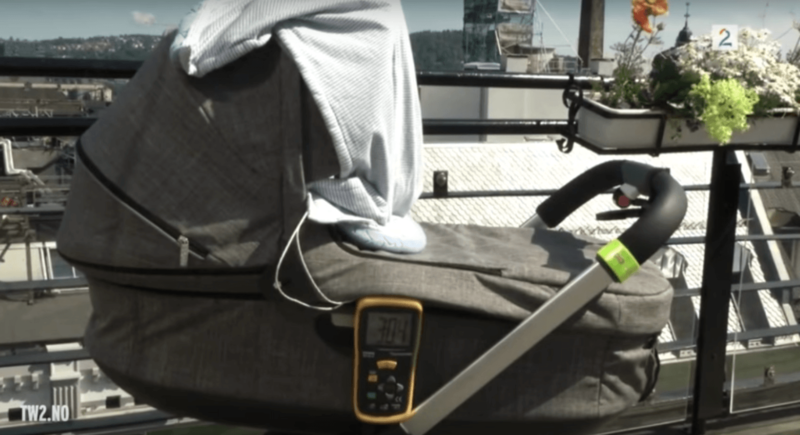 This is evident from images with a pram and a buggy attached to the thermometer. Experts warn that if you throw a blanket over the baby, your baby can walk on a sunstroke. In fact, there is a great risk of SIDS. In twenty minutes the temperature can quickly rise to 37 degrees. Researcher Torleiv Ole Rognum warn parents of the dangers of using blankets, which are often believed to provide protection from the sun. “The children must get enough fresh air,” he says on British television.”Because of the heat they can get trouble breathing.” There is not only too little air circulation under the blanket; the garment moreover deprives the child out of sight of their parents. In addition, a baby may cease spontaneously breathing-because he thinks by the heat that he’s back in the womb.